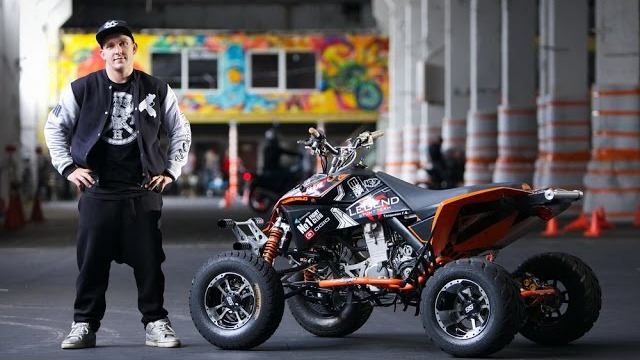 Grigorii Taldykin has always been big on riding a quad and is one of the best riders in the country. 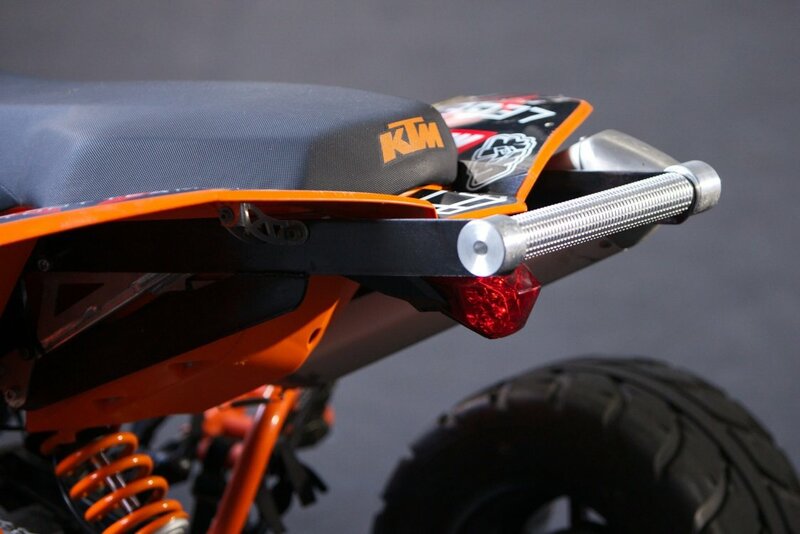 He recently assembled a stant quad on the basis of a new KTM 525XC. 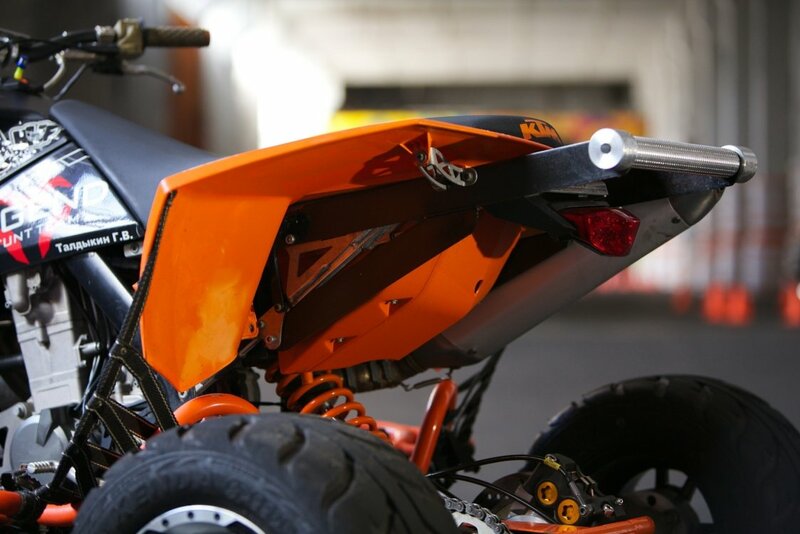 The quad bike turned out to be not only functional, but also very beautiful. He paid special attention to style and design. 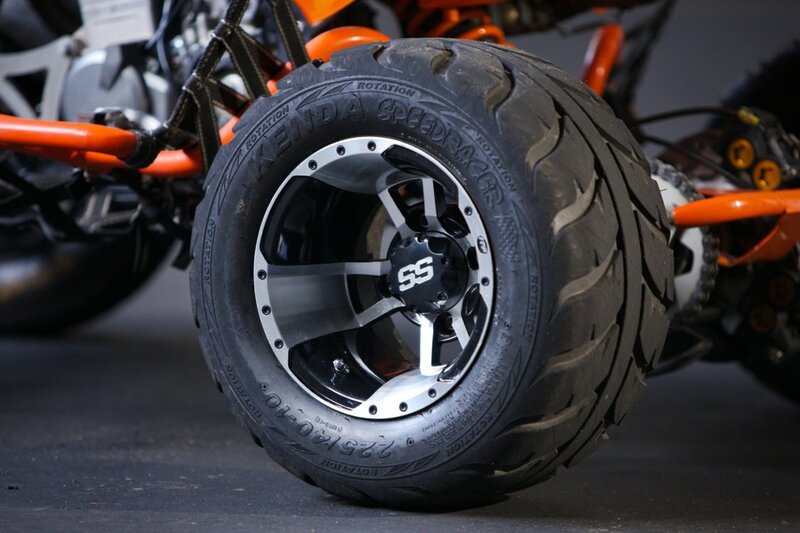 Preparing a quad for stuntriding is no easier than a motorcycle, settings are especially important. 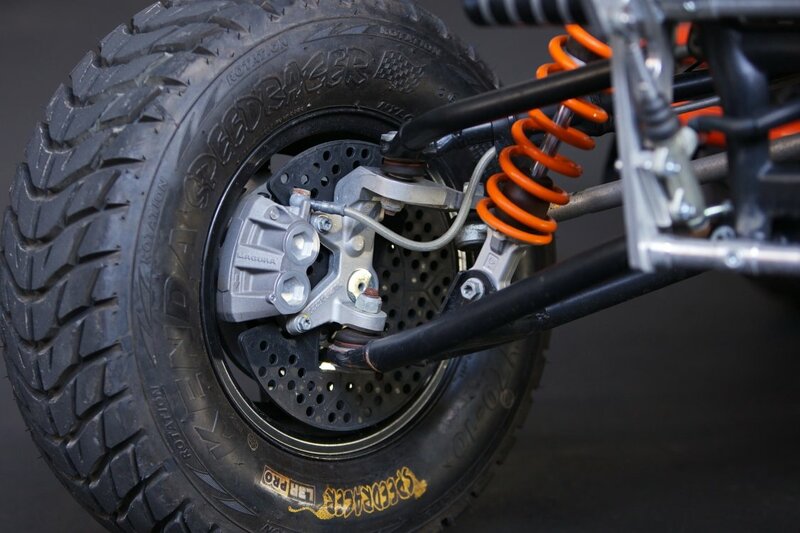 Protection of the quad comes down to strengthening the subframe and setting the frame. The front bumper is used for fixing the pegs. Grisha pulled the rear brake on the bumper to control the angle while doing the no hands on the third floor. Foot traps are a standard setup on any quad! 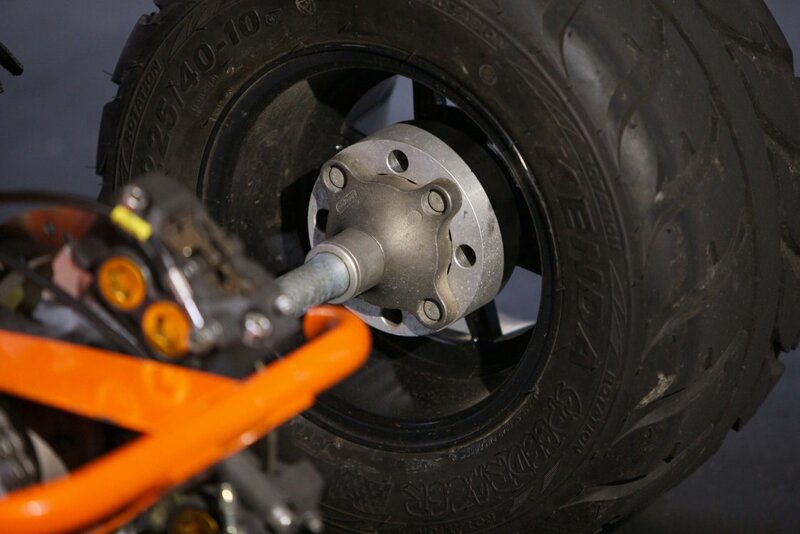 The wheelbase is extended with special spacers for better drift stability. Front and rear spacers are of different thickness. Stylish rollers not only look great, but are lighter than the standard ones. Handbreak is a standard setup in stuntriding. The clutch is hydraulic, so you can’t install a light squeeze machine, but standard squeezing is good. Grisha replaced the gas trigger with a short-shift cross handle, since he often rides a motorcycle and it's hard to get used to the trigger every time. On the handlebar there is a wide platform on which it is convenient to sit and stand. 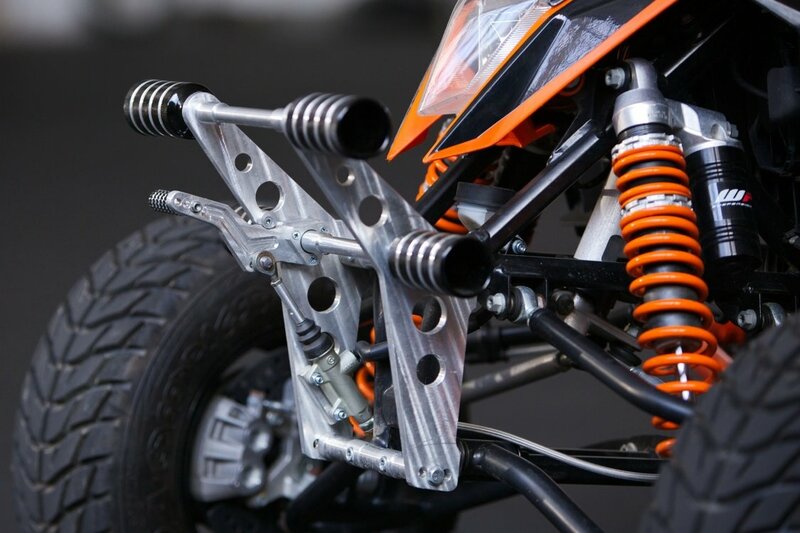 A suitable, torque engine does not require any modifications and is well tuned for performing stunts. Good stock shock absorbers are fully adjustable and of good quality - it does not make sense to change them. The quad is relatively light. Watch the video down below for the review of the quad and a few stunts. Grisha thanks the LegendStuntTeam team for their help in preparing the quad! Special thanks to the StarRiders motor school for providing the shooting area!